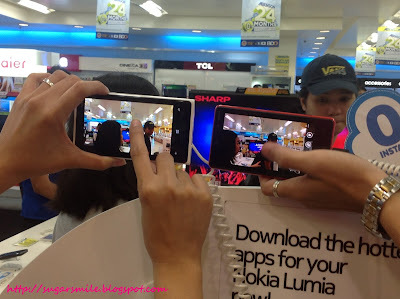 SugarSmile: Nokia Lumia and Abenson Makes Tech Shopping Fun! Nokia Lumia and Abenson Makes Tech Shopping Fun! Last 2011, I was amazed when Nokia launched the N9 smartphone. As that time, I thought it was one of the coolest phones among the smartphone category. 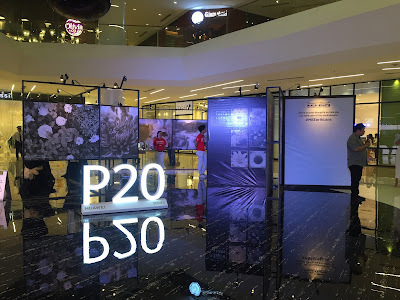 But last week, I went to Abenson Shangri-La Mall and saw the new thing of beauty. The Nokia Lumia 620, 820 and 920! 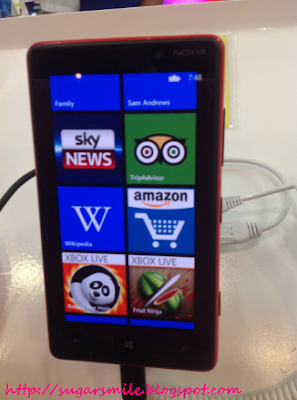 When I went to Abenson, I immediately saw the Nokia Lumia booth that was set up as you enter the store. The Nokia Lumia 620, 820 and 920 series are all powered by Windows 8, so you are sure that its performance is reliable and fast. I just love how updated Nokia is. Its like having your PC anytime and anywhere. Did you know that these phones are also kid-friendly? You can customize what your kids can see with this phone and if it closes, they can ask you for the password so you can secure your other files from being deleted. I have a 10 year old cousin and he borrows my phone all the time. He once used my phone, and when he returned it to me, I found out that my e-books were all gone. 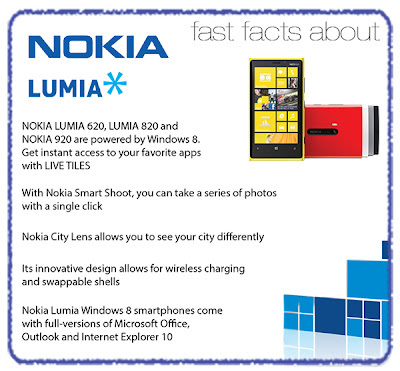 With the Nokia Lumia 620, 820 and 920, you can have piece of mind. What I also love about this phone is the LIVE TILES. You can access your files easily, without having to browse them at the menu. With its camera, you can use the Nokia Smart shoot as it takes multiple photos in one click. Just perfect for the photo addict like me! Nokia Lumia and other appliances are available at Abenson. I also found out that when you buy the Nokia Lumia 820, it is available at 0% interest for 24 months on all major credit cards. Now you can buy your dream gadget without putting a huge burden to your expenses. Plus you can get exclusive freebies and add-ons. 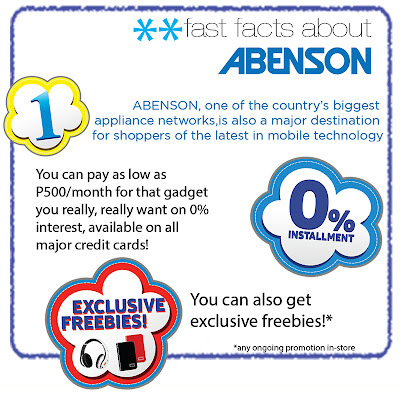 So are you now convinced that its fun to shop for tech products at Abenson? I'm sure they have great deals and only the latest gadget for you. How about you? 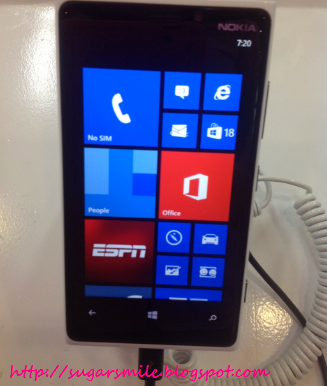 Have you experienced the new Nokia Lumia at your nearest Abenson branch? See it for yourself and prepare to be amazed.